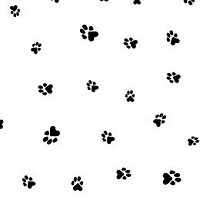 Paw Prints Black Cellophane Basket Bags 20" x 24"
Paw Prints Black Cellophane Basket Bags 20 inches x 24 inches. Bag background is clear. Pkg of 15.